The Cardiometabolic Road map is finally back from the printer and ready to be shipped. Why did it take so long…… Well, when you hold the 350 page book (yes 100 pages longer than the GI Road map) and see all the illustrations and references you should be asking how it got done so quickly! In either case, this Road map is the culmination of over 18 months of research, writing, editing, illustrating, proofing and assembling; we are certain you will not be disappointed. We also worked hard to keep this affordable. While it is 40% larger than our GI Roadmap, we worked with our printer to keep the cost very reasonable and at our normal retail price ($54.95) it is only $5 more than our GI book. However, we will be selling the book for only $49.95 during the month of July (2018) to celebrate this achievement and get these out to as many of our customers as possible. So order yours today and don’t miss out on this early bird special. Notice: Any books purchased from Wed. May 30 through Sat. June 2 will be shipped on Monday June 4th. We are sorry for this inconvenience. Many of you have been asking us “When is the next Road map going to be ready” and we can now tell you that our target is to have it ready to ship this spring (2018). As you can imagine if you have read any of our previous Road maps, the amount of relevant information published in the cardiometabolic field is probably more than any other, and the number of lifestyle and nutrient-related remedies that have been investigated is vast. …All of which means that we are sifting through mounds of information to bring you the sort of informed, balanced and evidence-based approach that we have taken with each of our other projects (though this one is slated to be a bit larger than the previous GI book). We realize that this has taken longer than we (or you) would have liked, but in addition to the tremendous breadth of this topic (and due to the publication of the previous books), Dr. Guilliams has had additional speaking and writing requests over the past year that were unanticipated. We want to thank you for your patience and hope not to rely upon it much longer. We will let all of you know when we are ready to take pre-orders for the new book and maybe provide a sneak peak of a portion in the very near future. Stay warm, spring is just around the corner. Dr. Guilliams was recently interviewed by Dr. Hoffman for his “Intelligent Medicine” podcast. 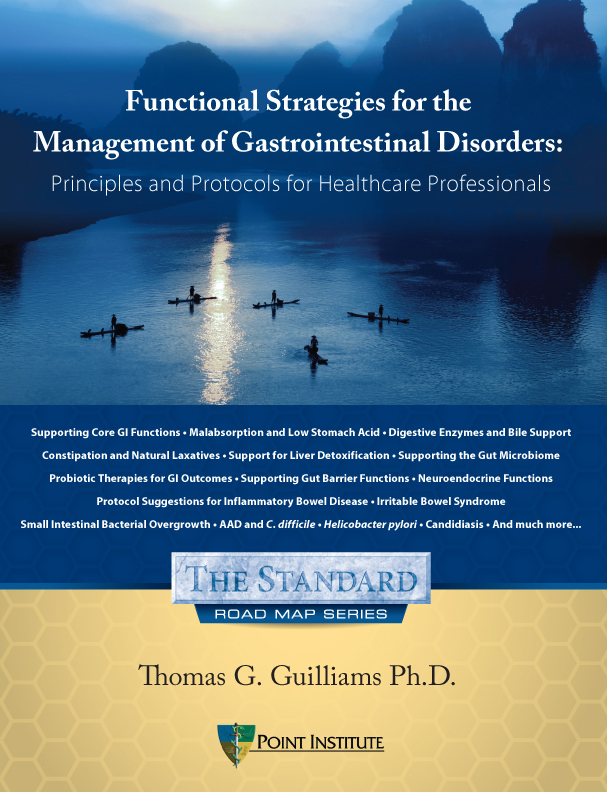 Dr. Hoffman was given an early version of Dr. Guilliams’ new book “Functional Strategies for the Management of Gastrointestinal Disorders,” much of which was touched upon in this fast-paced and wide-ranging interview. You can listen to the podcast (in two segments) here: Part 1 and Part 2. For a visual sneak peak of the book (and to take advantage of our pre-shipping sale through November 2016, check out the GI book page. The Newest Road map- is finished and ready to ship now! For those who have been waiting, you can now order the book and get them sent to you “hot off the presses.” This 250 page volume is twice the size of each of the last two Road maps and covers basic principles of core GI function as well as specific protocol suggestions for important chronic GI conditions (IBD, IBS, SIBO, H. pylori, AAD, C. diff., Candida and more). The book will retail for $49.95, but is available this month only (November 2016) for $39.95. Remember- this includes free shipping in the United States. We also offer expedited shipping for a small additional cost and also have International Shipping options available for a reasonable rate. 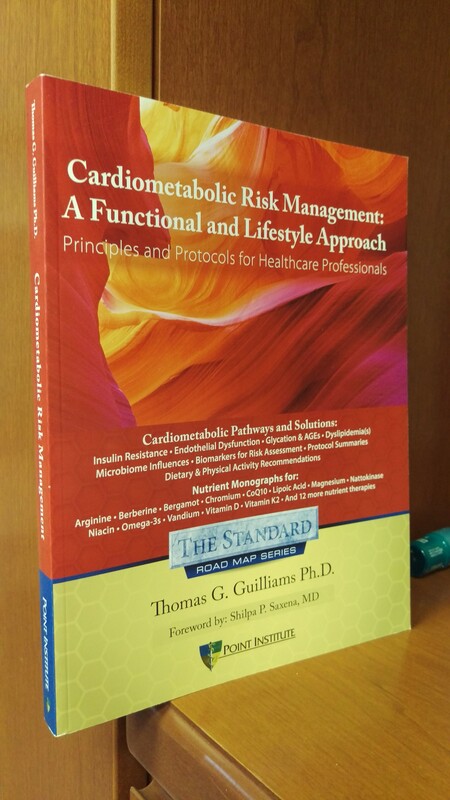 You won’t be disappointed, Dr. Guilliams and his team really took this one to the next level with over 65 figures and tables, including nearly 1,500 relevant and updated references for further study. Check out the excerpt in the Product page below. Ebook versions are NOT yet available. 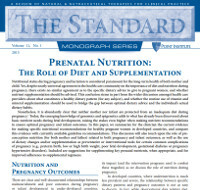 Our last Standard publication focusing on Nutrition and Supplementation during pregnancy is now available for download in our Resource Section. Prenatal Nutrition: The Role of Diet and Supplementation (Vol. 11 no 1). A review covering the unique dietary needs and recommendations for pregnant (or soon to be pregnant) women. This covers dietary patterns, macronutrients, vitamins, minerals, key support nutrients and even probiotic recommendations. This discussion covers basic nutrient mechanisms as well as genomic (and epigenetic) influences of nutrients. Also covered are nuances between different forms of supplemental folates, iron and vitamin B12, some of which may be of interest to the clinician making specific recommendations. Dr. Guilliams’ recent blog on multivitamins was picked up by Integrative Medicine: A Clinician’s Journal (IMCJ) – read it here.